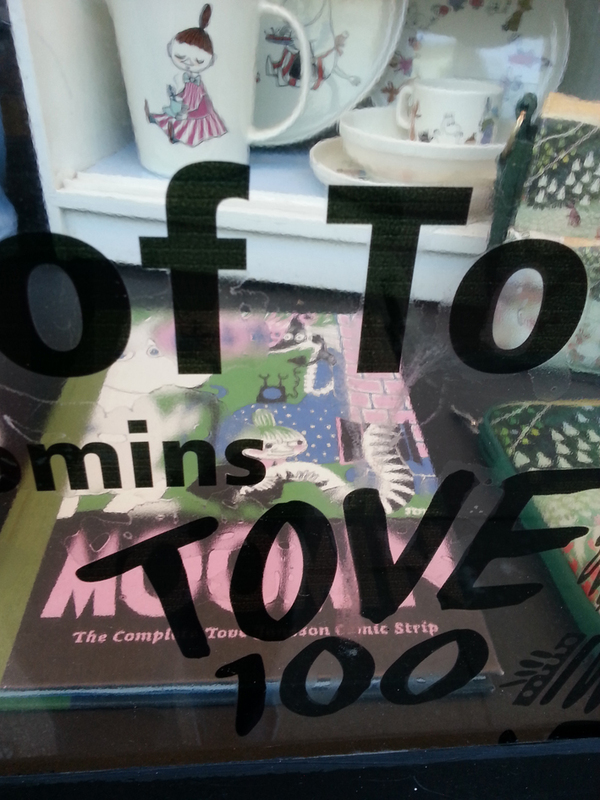 Then, idling through the North Laine, I was stopped in my tracks at the shop that stocks the full range of everything Moomin that can be bought from the Finland company, Arabia: the window display blared the news that 2014 was the centenary anniversary of the birth of Tove Jansson, Finnish creator of MoominValley and all its creatures. So, this had to be the year of the promised purchase! 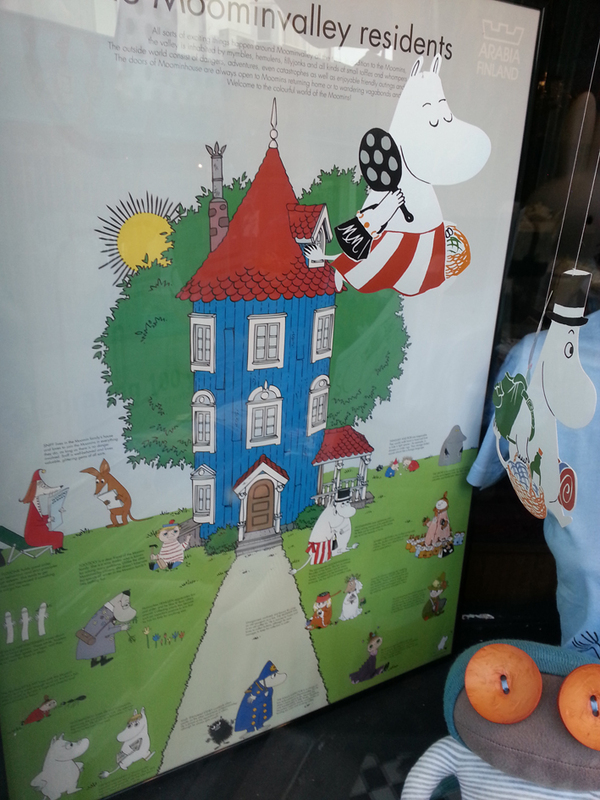 My siblings and I received Moomin books as birthday presents from our uncle in Finland – and his Finnish wife and our 2 cousins – long before the American cartoon of the Moomins’ antics hit the TV screens in this country. 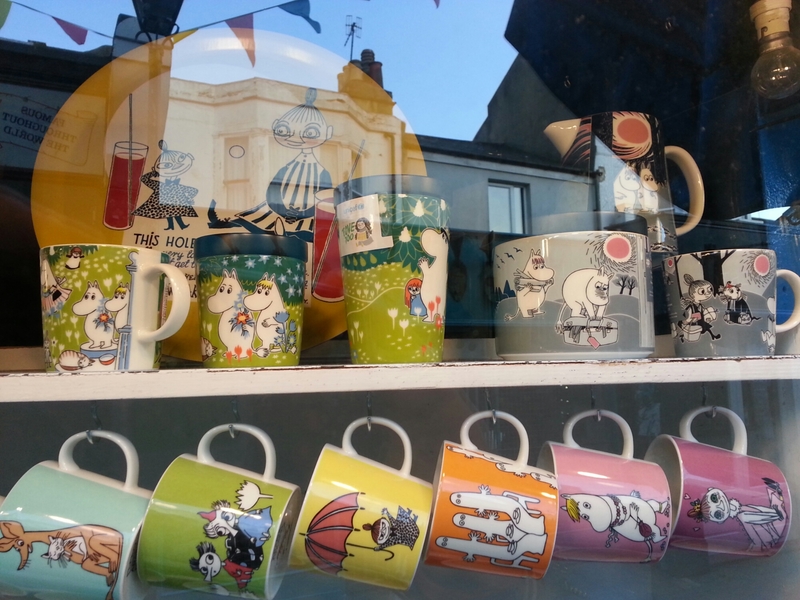 Great delight followed when one year – for Christmas, perhaps – we received Moomin ‘dolls’. I got Moomin Papa: he had a silver grey fake fur body and a removable black leather top hat. Reliving the delights of those fantasy books (some of which remained on my shelves or in precious storage into my middle age), I treated myself to a plate featuring a whole array of Moomin Valley creature beings: a special centenary celebration design – and one most fitting to celebrate my own recent 55th birthday! Perhaps in my dual-genderedness, I carry more of the Moomintroll and the Snork Maiden archetypes in my outer being than most; or is it just that I am more of an embodiment of Thingummy and Bob?